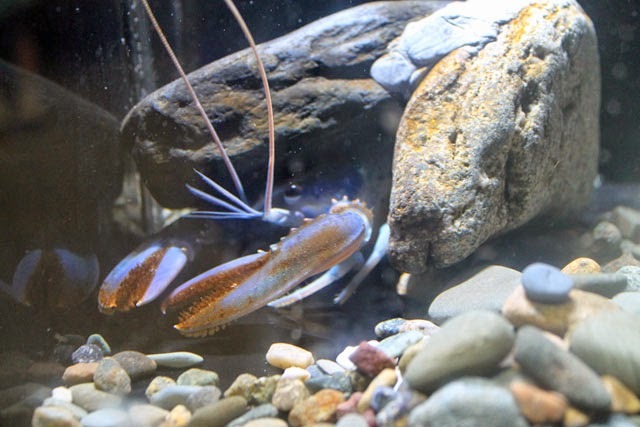 You can find American lobsters (Homarus americanus) on exhibit at the Aquarium every day. From the tiny juveniles in the Blue Planet Action Center to the heavy-weights carving out territories in the chilly habitat of the Northern Waters Gallery. Plan a visit today to see New England's favorite crustacean. Here's a story of a lobster rite of growing up—molting—brought to you by guest blogger and volunteer Daire Gaj. 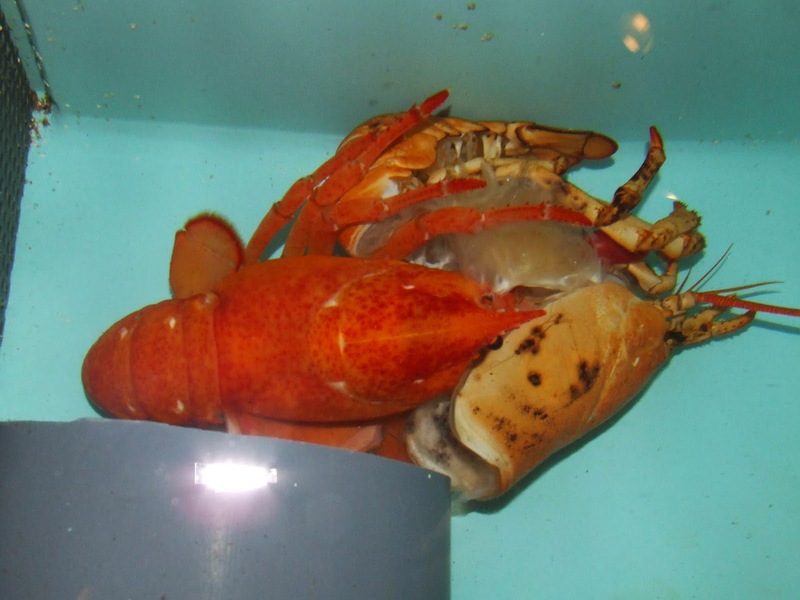 What do you do if you're a lobster and you're growing too big for your shell? Climb out of your shell and grow a new one! That's what one of our lobsters behind the scenes did a couple of weeks ago. Scroll through these pictures to see how molting happens! A lobster will undergo many molts in the process of growing up. 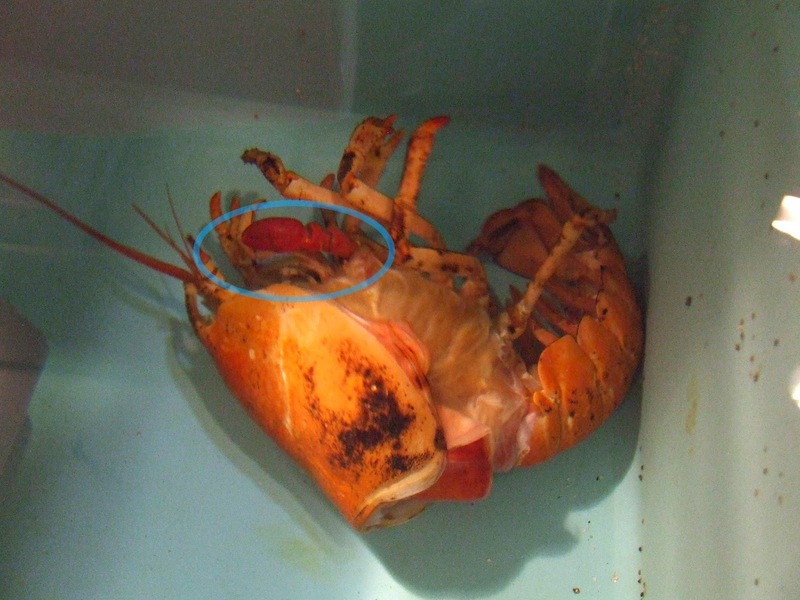 It's not often that we get to see a lobster molt, though Anita Kim caught it on video back in 2009. Anita, manager of the Aquarium lobster lab, has watched hundreds of lobsters grow up. She says that lobsters will molt most frequently when they are young, approximately once every two weeks. As they grow older, their growth slows and they may molt once a month. 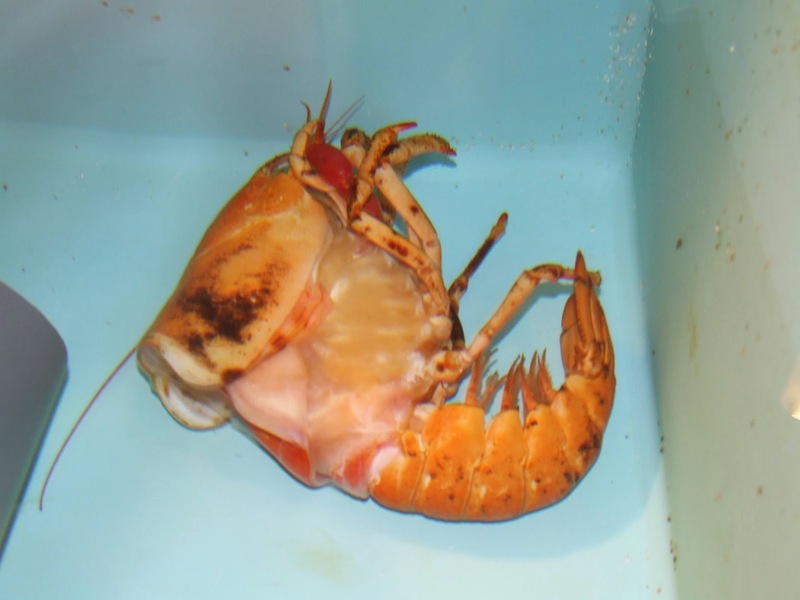 The oldest lobsters will molt once every few years. How long can they continue? Anita says their natural lifespan is unknown. With a tree, you can measure its age by counting the rings in its trunk; with a fish you can count the rings in its ear bones, but lobsters offer no visible indicator of age. It's possible they may be able to reach a hundred years or more. Lobsters have an advantage when it comes to longevity, because they can regenerate body parts when they molt. “It's like getting a fresh start,” Anita says. This lobster was in the process of regrowing lost claws when it molted. You can see one of its partially grown claws in this photo from early in the process. Sadly this lobster is now clawless again. 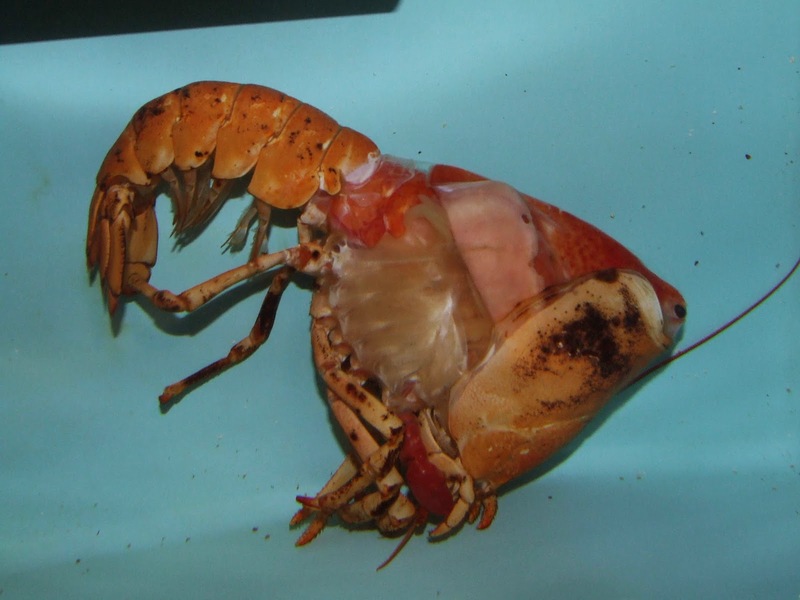 It appears the molt did not go perfectly, and the lobster had to leave its claws inside the exoskeleton. 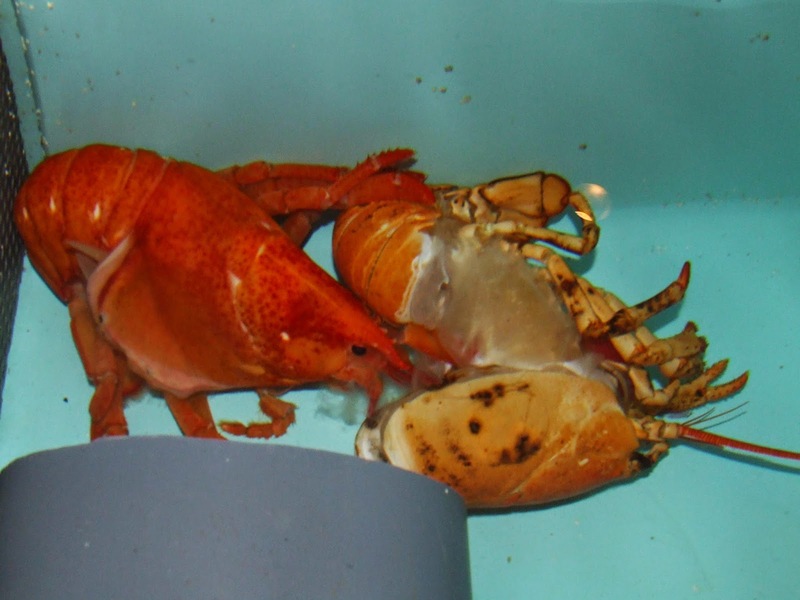 Anita says it will happen from time to time that lobsters eject their claws while molting. “The claws are typically the difficult part,” she says, picking up a model of a lobster, and pointing to the complicated joints in the feeding claws. So imagine trying to take off a pair of tight-fitting gloves, both at the same time. The good news is that it will have plenty of time to grow its claws again. 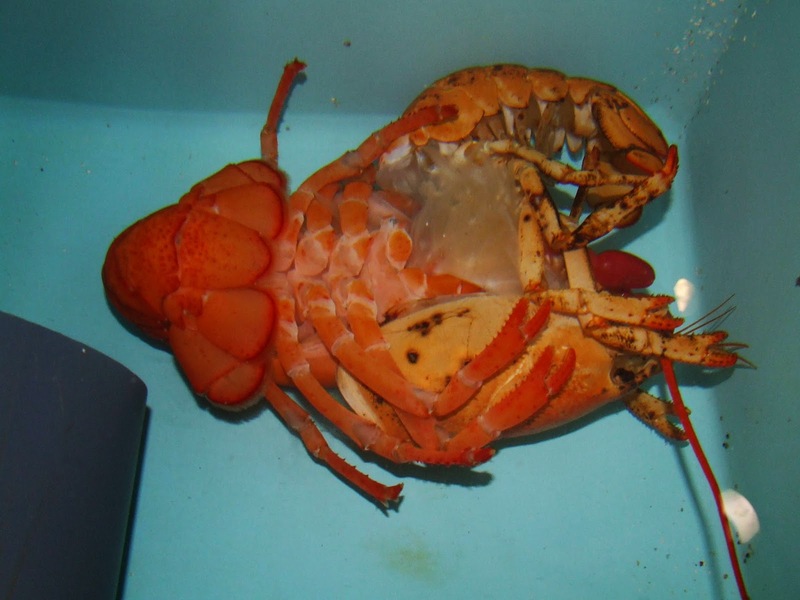 While its brothers and sisters in the open ocean are using their claws to break open mollusks, this lobster will be getting chopped shrimp delivered via room service in its home behind the scenes. 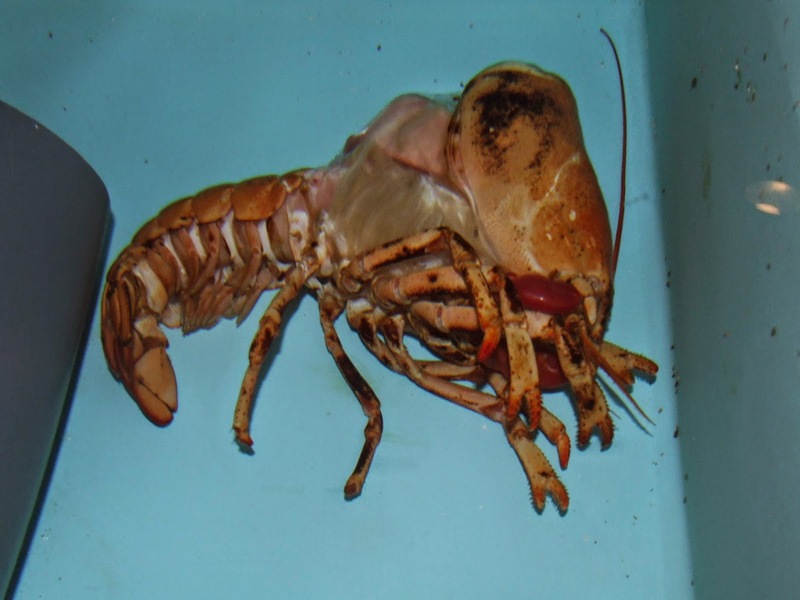 And if you think that's cool, you might be interested in this video of a juvenile lobster molting behind the scenes in our lobster research lab! 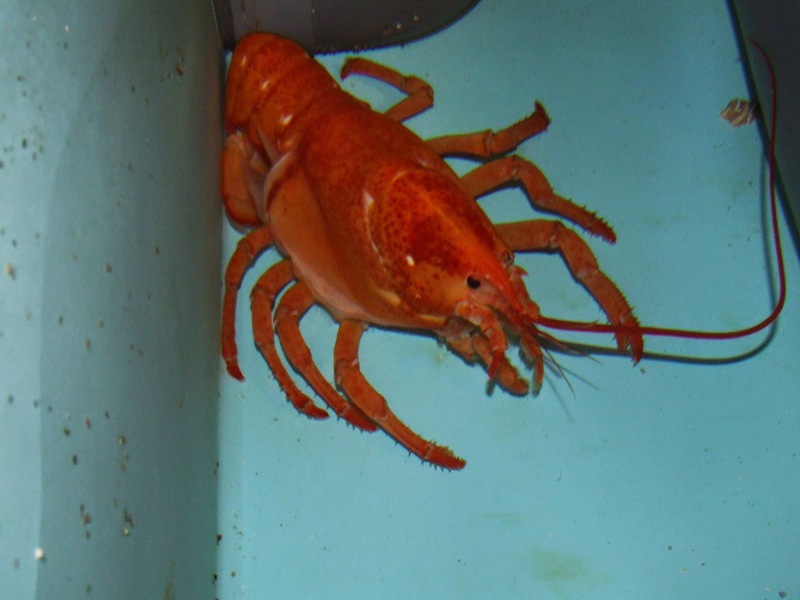 See lobsters like this juvenile at the Aquarium's lobster nursery! Imagine how many molts are ahead of this little guy. Plan a visit today.